The first battle of Bull Run was fought on July 21st 1861. This was the first major land battle of the Civil War. Both the Union and Confederate armies were very green and had virtually no combat experience. Yet they both had soaring morale, and believed the war would be decided in a single battle. A Confederate army under the command of General P.G.T. Beauregard was encamped 25 miles southwest of Washington near Manassas VA. This made Lincoln and the citizens of Washington extremely nervous. Lincoln wanted this threat to be removed from the nation’s capital as soon as possible. The commander of the Union army Major General Irvin McDowell was not particularly eager to invade the south. McDowell knew this his “army” was not a professional force. There were a few good regiments with good quality soldiers but the vast majority were simply militia volunteers with no military experience. He feared disaster if these men went into battle before they were ready. Lincoln was very much aware of the military situation. He was also aware that the rebel troops were just as green and inexperienced as the Union troops. As Lincoln stated to McDowell “You are green it is true, but they are green also, you are all green alike.” Lincoln was also aware that most of the Union soldiers had only 3-month enlistments and very soon their enlistments would be up. Time was not on Lincoln’s side. He ordered McDowell to attack. General McDowell started south toward Manassas with around 35,000 troops. The Union troops were very confident that all they had to do was simply go to Manassas meet the rebels, rout them in battle and destroy the rebellion. They believed this was going to be a very easy victory and the war would be over almost as soon as it began. Hundreds of citizens of Washington traveled with the troops so they could see for themselves the defeat of the rebellion at the battle of Bull Run. It was almost a party atmosphere, people rode to the battle in carriages they had picnics and were expecting a good show. The Union army was not disciplined and the troops did not particularly like to follow orders so it took its time getting to Manassas. The army eventually made its way 25 miles south to the railroad junction in about two days time. Waiting for them at Bull Run General Beauregard set up his troops in a position along Bull Run Creek. On July 21st McDowell ordered the advance across Bull Run. His plan relied on a successful flanking attacking against the Confederate left. Two divisions were assigned the task of out flanking the rebel lines near Sudley Springs Ford. These troops marched for 7 hours over very rough terrain. 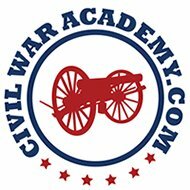 They had hoped to surprise the rebels however Confederate General Nathan Evans was warned with semaphore flags signals that Union troops had been spotted marching around his position and that if he did not act quickly his left flank would be turned! Realizing the imminent danger he was in Evans quickly turned his troops to face the new threat. The rebels set up a defensive position on top of Mathews Hill. As Federal troops approached the Confederates began firing on them, this turned into a two-hour battle in which the rebels were slowly and then more quickly forced back off of Matthews Hill and onto Henry House Hill. On Henry House Hill the fighting continued and the southern troops continued falling back on the verge of running. The southern troops were beginning to break and for a time it looked as though the Union was going to have it’s great victory. The Confederate left was crumbling and the Union troops thought the battle was won and the war was over. Even General McDowell said at this point that they had won a great victory. The battle was as good as won. Despite the Union claims of victory at Bull Run, the southern troops were far from defeated. It was at this point that General Thomas Jackson entered history. It was his brigade that held the line atop Henry House Hill and did not run. His was the only unit still holding it’s ground. His men became a rallying point for the retreating rebels. General Bernard Bee while riding his horse into the stream of men fleeing from Matthew’s Hill rallied his men by shouting them to “Look there is Jackson with his Virginians, standing like a stone wall” The rebels immediately rallied around Jackson and a new defensive line was formed. There has always been debate as to what exactly General Bee meant by his comment. Was it a compliment to Jackson for standing in the face of enemy attacks and not retreating? Or was it an insult basically saying look at Jackson just standing there doing nothing to help out his fellow soldiers. No one knows for sure, and no one had the chance to ask General Bee himself for clarification because he was killed only a few minutes after making that now historical comment. No matter what he may have meant by it the name stuck and Thomas Jackson forever became known as Stonewall Jackson. The first civilian death of the war occurred during the fighting on Henry House Hill. Judith Henry an elderly widow in her 80’s lived in the house on the hill. She was ill and could not move from her bed. During the fighting Union artillery hit her home entering her bedroom and cutting off her foot, which resulted in her death. This attack broke the Union lines. It quickly became a rout; Federal troops were in a full run crossing back over the Bull Run Creek wherever they came upon it. As Union troops and civilians streamed away from the battlefield along the Warrenton Pike a Confederate artillery piece was moved forward and fired a shell into the retreating masses as they were crowded together trying to cross a stone bridge. The Confederates did not chase after the Federals. The fact is they could not. They too were exhausted and in not much condition to continue fighting. All they wanted to do was rejoice in their victory over the Union at the battle of Bull Run. And they did.